Food Grade Sodium Chloride is videly used in various industries and we have the supply the best quality material. Mother India Consumer Products was established in year 2001. 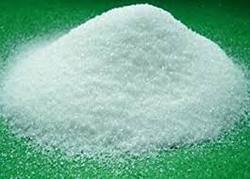 We are leading Manufacturer, Wholesaler & Trader of Sodium Chloride, EDTA Disodium Salt, Caustic Potash, Bleaching Powder, etc. We are authorized agent of various leading industries and supplier of various chemicals, catering to various industries like food, foundry, casting, plating, hatcheries etc. Our chemicals are stored in best of facilities and all the hygiene conditions are taken care of. Our company assures timely delivery for even bulk orders with safe packaging to any part of India. Our clients can avail these Chemical Compound from us at market leading price range.